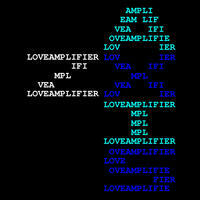 Love Amplifier : Z Axis. Z Axis is an experiment in open-source music. The album was produced using only default sounds shipped with Linux Multimedia Studio (LMMS), resulting in XML project files under 100Kb each. In addition, the entire album was produced on a Samsung Chromebook 2, using a program called "crouton" to allow linux programs to run. "Z Axis" was written in public at Echo Park Lake in Los Angeles, California, entirely on battery life. New Memories by Domased: old school trance. Insomnia by Processor: industrial acid house.